The first edition of Berkeley’s Bay Area Book Festival, where 225 national and international authors will be reading, presenting and debating on various panels, is coming up this June. The event will take place in Berkeley’s Downtown Arts District on June 6th and 7th. 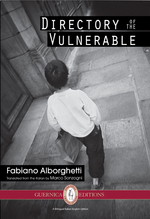 We are happy to announce that Guernica author Fabiano Alborghetti (Directory of the Vulnerable, 2014) has been sponsored by the Swiss General Consulate to represent Switzerland at the festival. “Poetry from There and Here” with John W. Evans, Arvind Krishna Mehrotra, and Tess Taylor. “Longing to be Understood: Language and Story”, with Jonas Hassen Khemiri and Sjon. Moderated by Stephen Sparks. 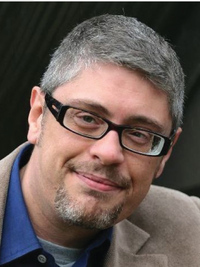 Fabiano Alborghetti is the author of five collections of poetry, including Directory of the Vulnerable (Guernica Editions, Spring 2014), as well as numerous limited editions art-books and plaquettes. His poems are translated in 10 languages, and he is considered the most influential Swiss representative of the “novel in verse” genre. For the past ten years he has written original plays, literary criticism and book reviews for periodicals, newspapers and online media, and poetry for journals, web, and radio. He has promoted special poetry projects in jails, schools and hospitals. He has represented Switzerland at literary festivals and cultural events worldwide. The Directory of the Vulnerable is a book in 43 cantos about vulnerable human beings whose feelings and experiences are watched and recorded. By showing the actions and reactions of a credible cross-section of contemporary society, Alborghetti seeks not universality but to stand in the shoes of his subjects. 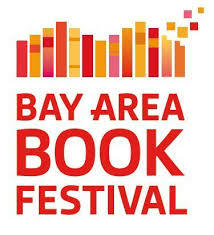 Tagged with Bay Area Book Festival, Directory of the Vulnerable, Fabiano Alborghetti, Poetry, Switzerland.